Super Seed Nutrient Cream is designed to give fragile, delicate, sensitive skin the extra care and cossetting it needs. Unlike most creams, Super Seed Nutrient Cream is totally natural and fragrance-free. It’s brilliant at locking hydration into your skin and providing a matte, smooth barrier between your face and the world. It’s also a fantastic primer for make-up, and helps to keep your make-up looking dewy and fresh all day long. It’s become a go-to moisturiser for pregnant women whose skin has become dehydrated during pregnancy and who want totally natural skincare during gestation. 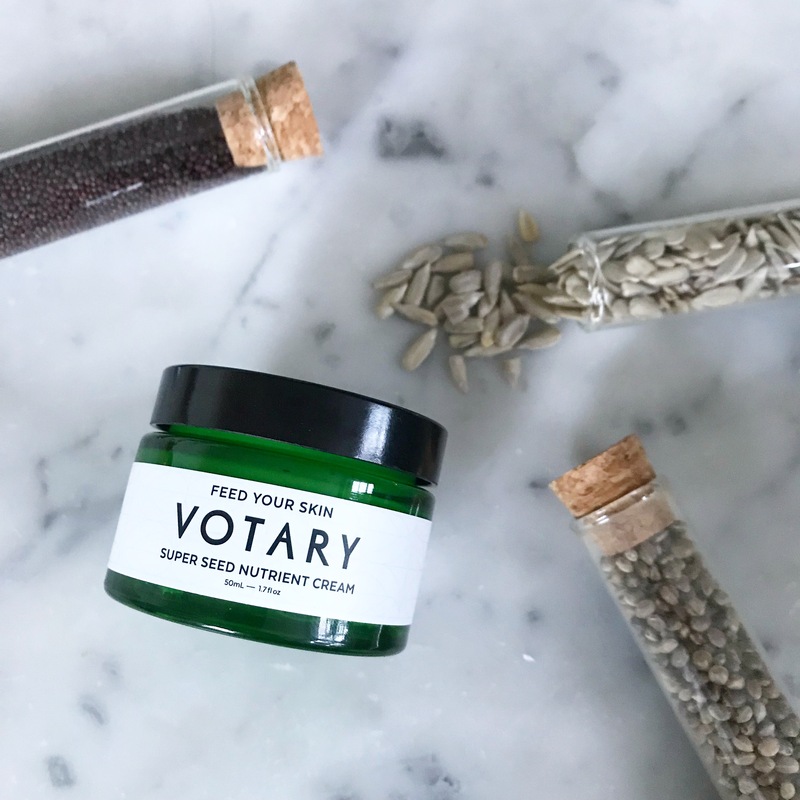 Super Seed Nutrient Cream works brilliantly with Votary plant facial oils, because it locks in all the potent goodness of the pure plant oils without blocking pores or causing congestion. It doesn’t overload or overwhelm skin. Instead, skin is hydrated, nourished, calmed and soothed. And now I’d like to share a way of using Super Seed Nutrient Cream to give your sensitive skin exactly what it needs. You can still use it as an additional layer in your skin care routine, but you can also combine it with your favourite oils to create a bespoke moisturiser that perfectly suits your skin’s needs. Simply dab Super Seed Nutrient Cream into the palm of your hand, add several drops of the facial oil of your choice, and mix together before applying in gentle, smoothing motions to your face. The oils in the facial oil penetrate deeply between the skin cells to hydrate, smooth, and nourish and Super Seed Nutrient Cream locks it all in. Your face feels hydrated, plumped-up and comfortable and ready for whatever the weather has in store. Rose Maroc and Sandalwood for when the seasons change and your skin becomes sensitised and stressed. The thick, rich blend of apricot and avocado oils, calendula and rose maroc fixes any dryness or tautness and leaves your skin gorgeously plumped. Neroli and Myrrh for when your skin is unsettled and needs some re-balancing. Neroli brightens, myrrh calms and soothes, and hazelnut gives glow. Jasmine and Calendula for light, gentle re-tuning, to rejuvenate and hydrate and create a flawless base for make-up. Clary Sage and Peach for the soothing clarifying of oat, rice-bran and peach oils, and the natural antiseptic of clary sage, bergamot and rosemary. Super Seed for our cult, bespoke blend of twenty two different, fragrance-free super seed oils to re-set and restore dry or sensitised skin. Melon, raspberry, borage, cranberry and pomegranate are the ultimate in health food for your face. So, make like an apothecary and create your own perfect, bespoke Votary blend. Hop between oils to give your skin daily tailored care through the winter. 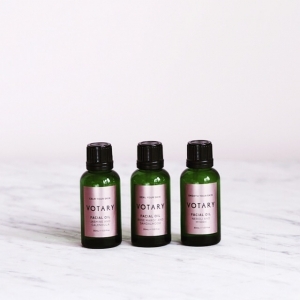 See our perfect Votary Experience set here and treat your sensitive, fragile skin with exactly what it needs. 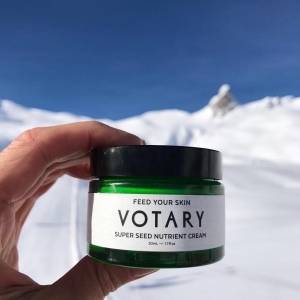 Read more about our award-winning Super Seed Nutrient Cream here. Read more about our facial oil range here.